Firstly, as actual places, casinos can become the scene of economic profit or loss. Secondly, casinos become ‘real’ stages for cultural performances, like Powwows – and they also become stages in a metaphorical sense, inasmuch as they themselves stage Native American identity and, in specific ways, give space to the performance of actors. Thirdly, casinos also become represented spaces: they show up in artistic, legal, journalistic, and academic discourses and they appear in media formats from books to the internet. The triadic entanglement of ’Indian casinos’ as real place, locus of representation and represented space will be the subject of a new research unit, where disciplines such as American Studies, Theatre Studies, Cultural Geography, Jurisprudence, Economics and Media Sociology are brought together. Mita Banerjee has been Professor of American Studies at Mainz University since 2010 and will be Gutenberg Research Fellow until 2015. She was previously Professor of North American Cultural Studies at the University of Siegen with an emphasis on Literature. From 2000 to 2002 she worked at the UC Berkeley as an Emmy Noether Scholarship Research Fellow. She was teacher and member of staff in the English Department at Mainz University. 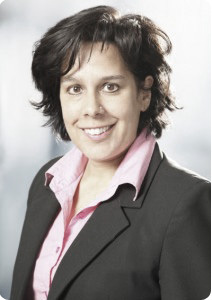 In 2003, she obtained her university lecturing qualification and in 1999 her PhD at Mainz University. In 1996, she completed her Master’s Degree in American Studies, English Studies and Slavic Philology (Russian) at the University of Mainz. Roots Trips and Virtual Ethnicity: Jonathan Safran Foer’s Everything Is Illuminated. In: Udo Hebel (ed. ): Transnational American Memories. Berlin: DeGruyter.